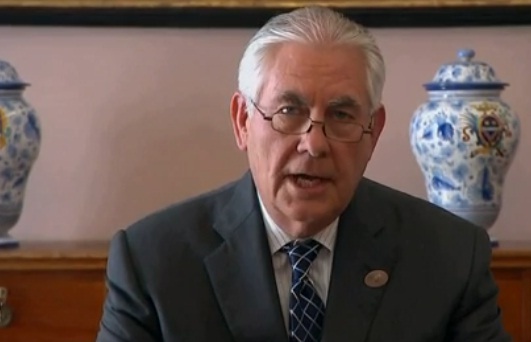 Lucca, Italy: Speaking on arms control and international security, Rex W. Tillerson, the US Secretary of State, today said here that many nations look to the Geneva process to resolve the Syrian conflict in a way that produces stability and gives Syria and the Syrian people the opportunity to determine their own political future. And our hope is Bashar al-Assad will not be a part of that future. If the Astana ceasefire negotiations become effective towards achieving a durable ceasefire, then the Geneva process has the opportunity to accelerate. To date, Astana has not produced much progress. Tillerson arrived here in connection with the G7 Foreign Ministers Meeting. Last week, Tillerson said, Bashar al-Assad’s regime killed even more of its own people using chemical weapons. Our missile strike in response to his repeated use of banned weapons was necessary as a matter of U.S. national security interest. We do not want the regime’s uncontrolled stockpile of chemical weapons to fall into the hands of ISIS or other terrorist groups who could, and want to, attack the United States or our allies. Nor can we accept the normalization of the use of chemical weapons by other actors or countries, in Syria or elsewhere. As events shift, the United States will continue to evaluate its strategic options and opportunities to de-escalate violence across Syria, the US Secretary of State pointed out. Tillerson further said that it is also clear Russia has failed to uphold the agreements that had been entered into under multiple UN Security Council resolutions. These agreements stipulated Russia as the guarantor of a Syria free of chemical weapons, that they would also locate, secure, and destroy all such armaments in Syria. Stockpiles of chemical weapons and their continued use demonstrate that Russia has failed in its responsibility to deliver on this 2013 commitment, Tillerson said adding it is unclear whether Russia failed to take this obligation seriously or Russia has been incompetent, but this distinction doesn’t much matter to the dead. We can’t let this happen again. Tillrson reiterated that the US military action was a direct response to the Assad regime’s barbarism. The United States priority in Syria and Iraq remains the defeat of ISIS. 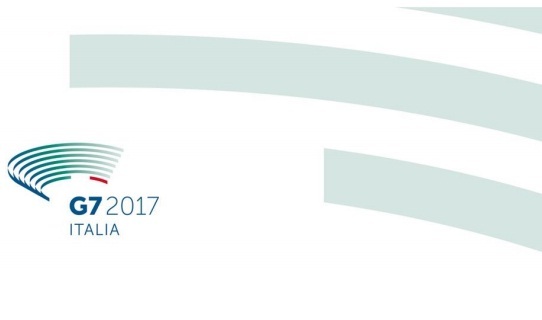 We are calling on our G7 partners to sustain the fight against ISIS well after the liberation of Mosul and Raqqa. Whether in Iraq and Syria, online, or on the ground in other countries, we must eliminate ISIS. G7 support will be critical. To stabilize Syria we will need the G7’s direct participation helping settle the conflict in Syria, protecting the civilian population, and committing to reconstruction that eventually will lead to normalcy for a unified Syria.